Latest Updates: The UP CPAT Result has been declared now on the official website. The cut off for the counseling is furnished below on this page. The UP CPAT Counseling 2017 is going to be started from 13th October 2017. For this, students will have to register on or before 15th October 2017. As well as, candidates can also choose the colleges up to 16th October for the admission. The first allotment list will be issued on 17th October. After that, from 22nd to 24th October, the verification and seat confirmation for first round will be done. On 25th October, the second allotment list will be released. From 26th to 27th October, the the verification and seat confirmation for the second round will be done. On 29th October, the allotment letter will be available to download. Later then, the admissions on left seats will be done from 29th to 31st October. Contenders will have to pay the counseling fee of Rs. 1000/-. For the admission on left seats, applicants will have to bring the original documents along with the Bank Draft of Rs. 50000/-. The Lucknow University has successfully organized the Uttar Pradesh Combined Pre Ayush Test 2017 on 4th October 2017. The candidates, who have attended this test, are now willingly seeking the UP CPAT Result 2017. 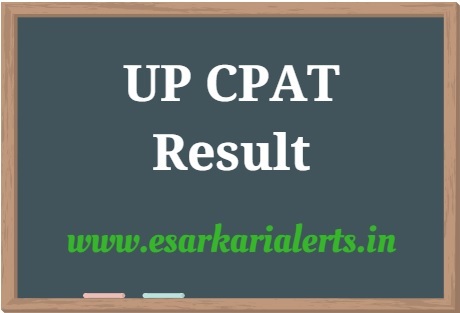 Such candidates have reached to a correct web page because on this page, they will get the complete information regarding the UP CPAT Result. This examination is a golden opportunity for all the participants. So, scroll down your page and check your result simply. The consideration of the result of this test is forcing the contenders to check the details again and again on the internet. That’s why they have opened this page. We inform to those applicants that the organization has declared the result on 10th October 2017. 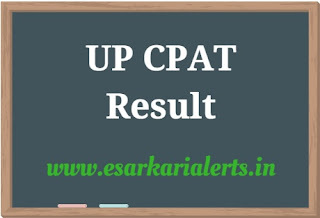 Moreover, the UP CPAT Answer Key 2017 has been issued on 6th October 2017. If there will be any change in these dates, will notify you by updating this page. Hence, contenders are advised to stay checking this article. The Uttar Pradesh Pre Ayush Test is an entrance examination that is required to be qualified by the candidates in order to get the admission in Government/ Private Ayurveda College for the UG Program. The candidates who want to get the admission in this program they have applied for this entrance test. Because of their admission, they are now looking for the UP CPAT Merit List 2017 because the process of counseling will be based on this merit list. Meaning of cut off marks is known to everyone. The cut off marks are the required minimum marks to be selected in this examination. The UP Combined Pre Ayush Test Cut Off Marks 2017 will be issued category wise. Those, who will be shortlisted in this exam, will be called for the UP CPAT Counseling 2017 so that they can get the admission in the concerned college. For the latest updates on this examination, stay visiting www.esarkarialerts.in. Fill your details like date of birth, roll number, application number etc. Download your result and take a hard copy for the admission use. Wish you “Best of Luck” for the Result!! !